How To Google Plus Hangouts for Business use – Tools for Webinars – PTC Computer Solutions. Google has been making headway in the Social Media arena. Google+ is a way to interact with a variety of social software, but, with Hangouts, there is more that can be done to interact with prospects and customers. How to use Google+ Hangouts for Business? PTC Computer Solutions, with ideas from SME, provides some Tips for using Google+ Hangouts to help your Business. Google+ is a great way to interact with your prospects and customers and Hangouts can be an even better way to hold group meetings, interact with customers, interview people and share your expertise. Before getting into ways to use Google+ Hangouts, here’s a quick look at the types available. For public Google+ Hangouts, choose Google+ Hangouts on Air to allow up to 10 hosts in a live hangout that is publicly accessible on Google+, a YouTube channel and a website. This will give you the option to record hangouts directly to the YouTube channel for future use. For private Google+ Hangouts, choose Google+ Video Hangouts to allow up to 10 participants in a video chat that is accessible only to the people invited. Either one of these versions will work for your needs. Make your choice and get started sharing information with your prospects and clients. Here are a few ways to use Google+ Hangouts for your business. Want to feel more connected to remote employees, contractors, vendors and others you work with outside of your office? If you have fewer than 10 people in attendance, upgrade your conference calls from voice to video with Google+ Video Hangouts. This will increase everyone’s engagement in the meeting, as you’ll be able to see attendees’ facial expressions and gestures. Video hangouts can be used for regular weekly meetings, brainstorming sessions and more. Ready to present a webinar to your audience, but don’t want to pay hefty fees for a webinar platform? Try Google+ Hangouts on Air. Hangouts on Air will allow the use of a webcam while sharing the screen and watching other YouTube videos live. You can also record and save hangouts on air to your YouTube channel. Before starting your session, set up a registration page for the webinar that has a simple opt-in form for the email list. Require people to opt in to get a link to the webinar before it goes live. Alternatively, after the session is over, embed a replay webinar on your website rather than publicly listing it on YouTube. All people have to do to see it is to give you their name and email address for you to send them the link to the web page on which your webinar recording is embedded. 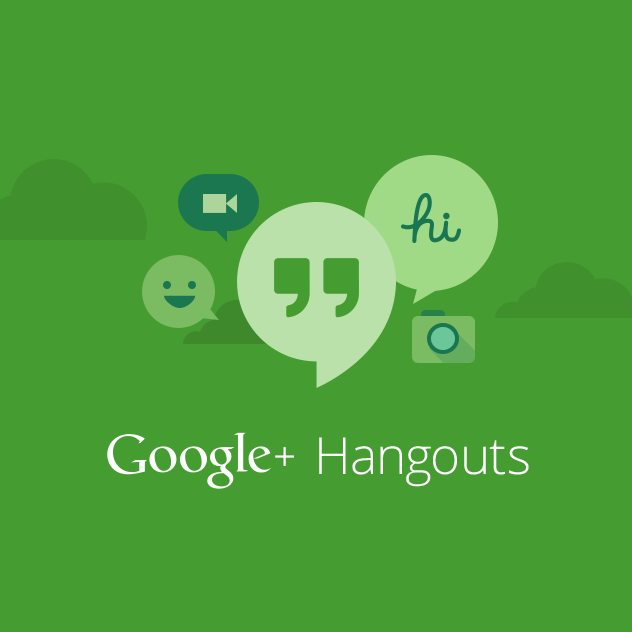 Want to turn hangouts into an opportunity to interact with your audience? Host informative Q&A sessions with people in your business or industry leaders. Simply find topics that relate to your products and services (topics that people typically have lots of questions about) and create a Q&A session around them. You can have one expert or a panel of experts (up to 10) to answer people’s questions submitted prior to the event or submitted in the text chat. Video interviews make great content, and they’re easy to create with Google+ Hangouts. You can choose to record the interview with just you and your guest(s) and share it later with fans after some editing. Or you can host a hangout on air with a live interview and open the floor for viewer questions at the end. Is your business hiring? Don’t just post a job listing. Hold a hangout on air session for potential applicants letting them know more about your opportunity, how to apply, tips for applying and insights into the job they would be doing. You can then use Google+ Hangouts during the interview process with your potential candidates. This is especially helpful if you have remote employees who need to be part of the interview process, or if you’re hiring remote employees and don’t want to make them travel to your location. Launching a new product? Use Google+ Hangouts on Air to host a live product launch party. This event has the potential to get your customers excited all across the globe. You’ll get bonus points if you can get a celebrity on board with the launch. Want to virtually bring together users of a specific technology or tool? Hold a weekly or monthly user-group meeting. Groups of 10 or fewer can participate on video live, and groups larger than 10 can view and interact in the hangout chat. Google+ Hangouts will create the perfect environment for virtual user-group meetings because people can share their screens for tutorials and feature reviews. Don’t want to host Google+ Hangouts on your own? You can get your name on them by sponsoring them instead. Similar to podcast sponsoring, find people who regularly host Google+ Hangouts in your industry and see if they’re interested in sponsorship opportunities. PTC Computer Solutions can help you with this. Contact us directly if you are interested in sponsorship opportunities. In exchange, you can ask for a few mentions of your product or service during the hangout and a link in the YouTube video description when it’s shared after the event. Do you use Google+ Hangouts for your business? How do you use Google+ Hangouts for your Business? Can you use Google+ Hangouts as a Business Tool? Please share your experiences and ideas in the comments! Are you getting important feedback and understanding of your prospects? Are you asking the right questions? Are you interpreting what it means? If all of this befuddles your brain, belittles your being, begging and befoddering your bioptics, belying your intellect…not to worry, PTC Computer Solutions is an expert on this stuff and is here to help. It’s what we do. Contact info@ptccomputersolutions.com or go to our website at www.ptccomputersolutions.com for more information. We are always at the ready. Online marketing is an incredibly dynamic environment with a tremendous number of moving parts. It is a constantly changing world. You do what you do best. Let us do what we do best. Keeping involved and staying ahead of the latest technologies is what we do at PTC Computer Solutions. If you are looking to get noticed on the Internet but don’t know where to begin, let PTC Computer Solutions help you get started or help improve your current website and website marketing plan and budget. Among everything else we do, PTC can plan a full marketing strategy and budget for your company and complete any marketing efforts, web or otherwise, you wish to achieve in order to deliver a consistent and effective message to your prospects. Contact David W. B. Parker (when you think of “W. B.” think of WeB) at davidp@ptccomputersolutions.com or go to our web site at www.ptccomputersolutions.com for more information. WEB SITE DESIGN & DEVELOPMENT ~ SEO ~ ONLINE MARKETING ~ SOCIAL MEDIA ~ IT PROJECT MANAGEMENT ~ MARKETING PLANS ~ ETC. Very interesting content, I think ptccomputersolutions.com is an excellent source of information.